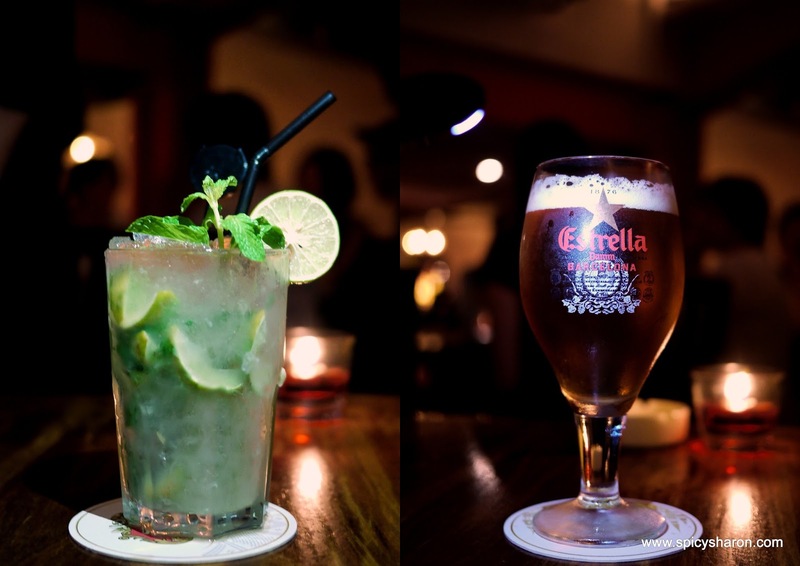 Pinchos Tapas Bar @ Changkat Bukit Bintang KL – Amazing Spanish Tapas. Welcome to one of the best place for tapas – at least that’s what my humble tastebuds proclaimed. Tapas enthusiasts, this post is made for you.The Complimentary Breads were good but don’t overindulge! Save space for the tapas! Pan Tumaca con Jamon Serrano (Rm28) – Spanish serrano ham and tomato spread on toast. These were wonderfully done and also my favorite dish of the meal. Dry cured spanish ham – who can say no? Gamas al Ajillo (Rm29) – Sauteed prawns with garlic, chili and olive oil. The prawns was packed full of flavors and bouncy on every mounthful. Sadly though, I couldn’t find sauteed mushrooms in the menu. Did I overlooked? Berenjenas con Tomate (Rm16) – Pan fried eggplant with tomato sauce and parmesan on toast. Again, the combination had toothsome textures and balanced flavors. Cerdo Iberico (Rm26) – Grilled spanish iberico pork and spare ribs. I didn’t quite enjoy the ribs however. I had a tough time prying the meat off it’s bone, it was on the verge of being a tad dry for my liking. Pinchos Morunos (Rm21) – Marinated spicy grilled pork and chicken skewer. These were finger licking good! Remember to slather on some sour cream at the side! Ending the review with a blurry photograph of myself taken before the meal. Overall Rating: 8.5/10. The one thing I don’t quite fancy about visiting Changkat is that it could get a little scruffy and rowdy when nightfalls. To top that off, the parking system have always been an utter ripoff here. Having said that, I think Pinchos was definitely worth the journey. I will be back! Address:Phone: +603 2145 8482Opening Hours: 5pm – 3am Daily. Closed Monday.